View our service and parts specials listed below at our BMW dealership in Mountain View. For questions regarding maintenance on your BMW vehicle, visit our Service Center. Call us today to make an appointment. Dealer install required. Excludes specialty tires. For full size trucks and specialty models, additional alignment charges may apply. Savings not redeemable for cash. Must present coupon when placing order. Not valid in conjunction with any other offers. Prior sales excluded. Limit one coupon per customer. Customer is responsible for sales tax and hazardous waste fees (where applicable). Not responsible for typographical errors. Valid at location listed above. See store for complete details. Expires end of month. Located locally in the greater Mountain View area, BMW of Mountain View is your nearby BMW dealership and service center. Take advantage of our currently available BMW service and parts specials for an array of maintenance needs. Our BMW-certified technicians strictly use BMW-approved parts when working on your BMW vehicle, ensuring that the value of your BMW is preserved through any repairs or service. Our Mountain View BMW Service Center is the preferred BMW servicer in the area. 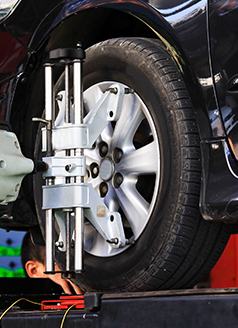 We regularly offer a variety of rotating specials for accessories like windshield wipers and services like oil changes. Browse our service specials at your convenience, then call us at (650) 200-0149 to schedule an appointment. At BMW of Mountain View, we're pleased to serve the greater area of Mountain View with BMW parts and accessories. If you need parts such as wiper blades or cabin air filters, call us at (650) 200-0149. It's likely that the BMW accessory you're looking for has a related special, and we're happy to help you navigate what's currently available. Browse our parts specials to see if what you're looking for lines up with what we have. Visit our Mountain View BMW Parts Center to learn more today.